Rotation reaction. A full view front clearly displays literature and publications for easy selection. The unit features four layers that rotate independently. 16 display compartments 8 3/4"W x 1 1/2"D x 11"H, each holds 1 1/2" of printed material. The rotating floor display rolls easily to point-of-use on five dual casters, 2 locking. 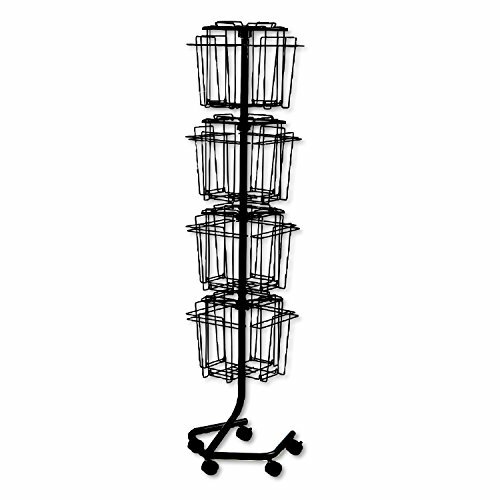 Welded wire construction with a powder coat finish for long-lasting good looks.